One of the things that I've really enjoyed since ramping up blogging is reading blogs a lot more regularly and discovering all kinds of gems. 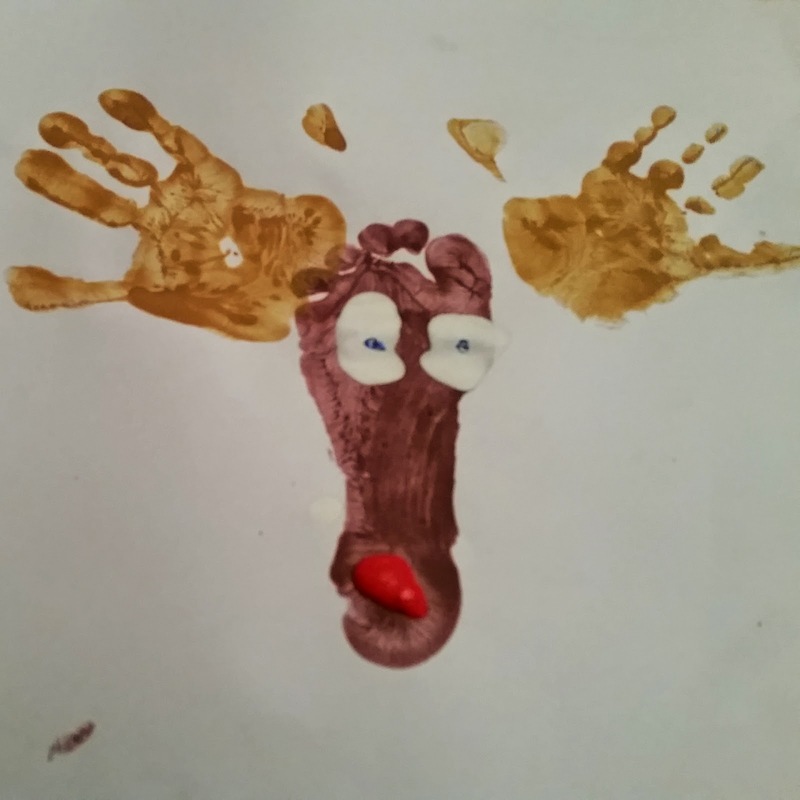 One I've discovered recently is Hand and Footprint Reindeers from Louisa at Life as We Know It. I decided to change it round a little but I'm really proud of the result. Here's D's attempt. Instead of cutting out the footprints (probably better for smaller ones and certainly less messy!) we used paint. D decided it also needed nostrils and a mouth - he is so keen on art at the moment that his book bag is filled with his creations every day - what on earth do you do with it all?